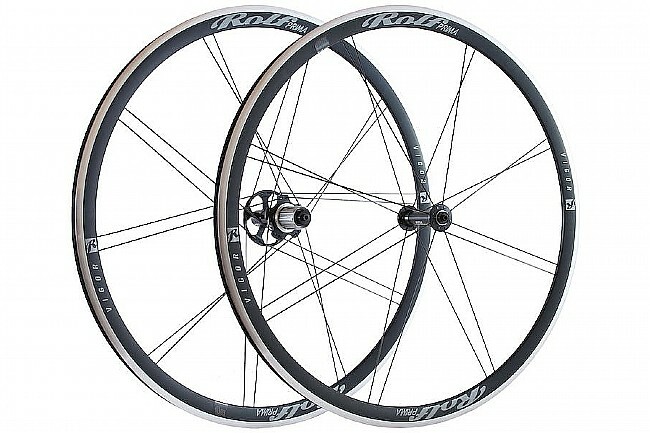 Rolf Prima's 2019 VIGOR Clincher Wheelset is aerodynamic, lightweight, and equally suited for hard training rides as they are for chasing down the break. The Vigor features tubeless compatible, alloy rims with an internal 19mm width and Rolf Prima's RT2 high engagement drive system for immediate engagement. Spoke type: Sapim CX-Ray & CX Speed, bladed. Rim Width: 23mm, internal 19.5mm. Hubset: TdF4.4 w/ T2 High Engagement. Freehub: Shimano/SRAM or Campagnolo 10/11-speed. Tire size recommendation: 25mm to 62mm. Includes: rim strips and a QR set.